Sorry, U.S. buyers, HTC doesn't think you want one. For many Android die-hards, the U11+ is the phone they’ve been waiting for from HTC. The company’s newest flagship improves on the U11 in every way, with a sleek, modern package that fixes many of its flaws. The only problem is, U.S. buyers won’t be able to buy one. As the name suggests, the U11+ is something of a mid-cycle refresh of the U11. It has the same Snapdragon 835 processor, 4GB or 6GB of RAM, 64GB or 128GB of storage, and the premier Edge Sense quick launch feature. But you wouldn’t know that to look at it. HTC has dumped the home button in favor of a rear fingerprint sensor and upgraded the screen to a 6-inch, Quad HD+ 2880x1440 screen with an 18:9 aspect ratio. However, unlike the Galaxy Note 8 and LG V30, the display is still LCD and not AMOLED. Around the back you’ll find an upgraded camera as well. While the specs are largely the same as the U11—12MP UltraPixel 3 with with 1.4μm pixels, an f/1.7 aperture, and optical image stabilization—HTC says the improved full-sensor phase detection autofocus and HDR Boost will make for crisper images. Additionally, the new 8MP front camera uses the same image processing tech as the main camera to capture better selfies, despite the downgrade in megapixels (the U11 has a 16MP sensor). Also improved is the battery. While the U11 has a relatively pedestrian 3,000mAh battery, the U11+ sports a 3,930mAh one, which will be able to power those extra pixels and then some. It also features Qualcomm’s Quick Charge 3 but no wireless charging. Elsewhere it has IP68 water resistance, Bluetooth 5.0, and BoomSound support with noise-canceling earbuds and aptX 24-bit high resolution wireless audio. The U11+ features HTC’s Edge Sense technology that lets you squeeze the sides of the phone to launch various apps and actions. Similar to what Google has brought to the Pixel 2 but way more customizable, you can now use Edge Sense to launch a radial side menu similar to Air Command on the Galaxy Note 8. Powering the software enhancements will be a new version of HTC’s Sense UI based on Android Oreo. The U11+ will be available in silver, black, and translucent black on November 20 in the UK before expanding to the rest of Europe. HTC says it has no plans to release the U11+ in the U.S. 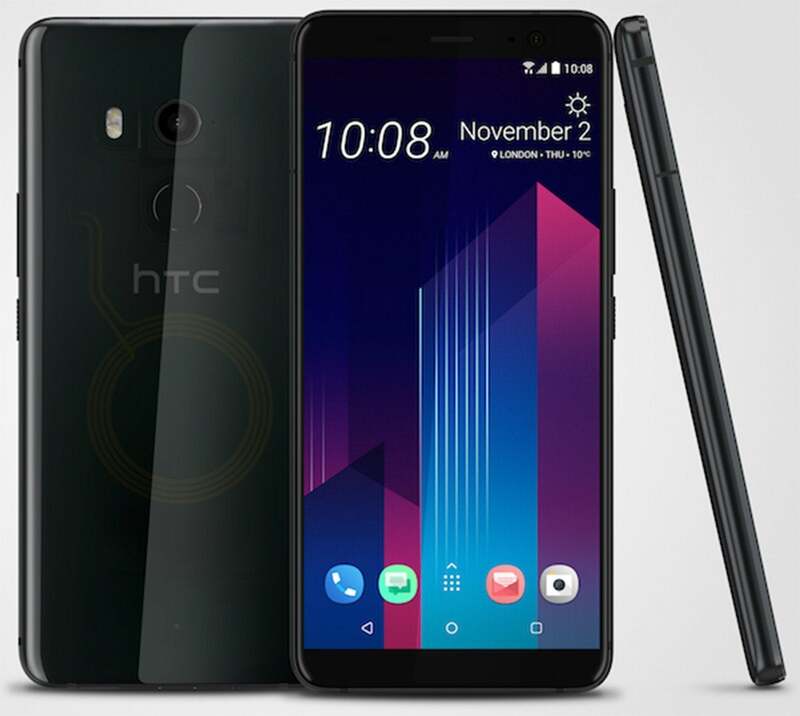 The story behind the story: HTC kicked off 2017 with the U Ultra, a disappointing 5.7-inch phone that failed to resonate with U.S. buyers. The smaller 5.5-inch U11, on the other hand, was far better received both by reviewers and consumers. HTC has used that evidence to conclude that U.S. buyers aren’t interested in its phablets, which is why it’s releasing the mid-range U11 Life in the U.S. and the U11+ overseas. That’s a shame, because the U11+ looks like a great phone. HTC might be right in thinking that U.S. buyers care more about the Pixel 2 XL and the Galaxy Note 8 than they would about a 6-inch U11+, but I hope this doesn't mean HTC isn't done with releasing big-screened phones in the U.S. If there’s a silver lining to this strategy, it’s that HTC has proved that it still has some serious design and engineering chops. That could mean good things for the Pixel 3, which will almost surely be made by HTC, since Google bought a large chunk of the company’s smartphone division earlier this year. So, if you want a flagship 6-inch HTC phone in the U.S., you might only have to wait another 11 months.